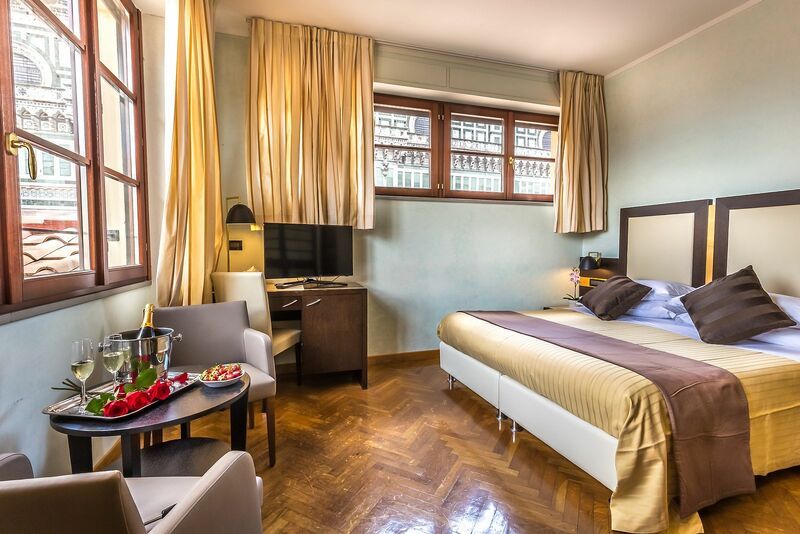 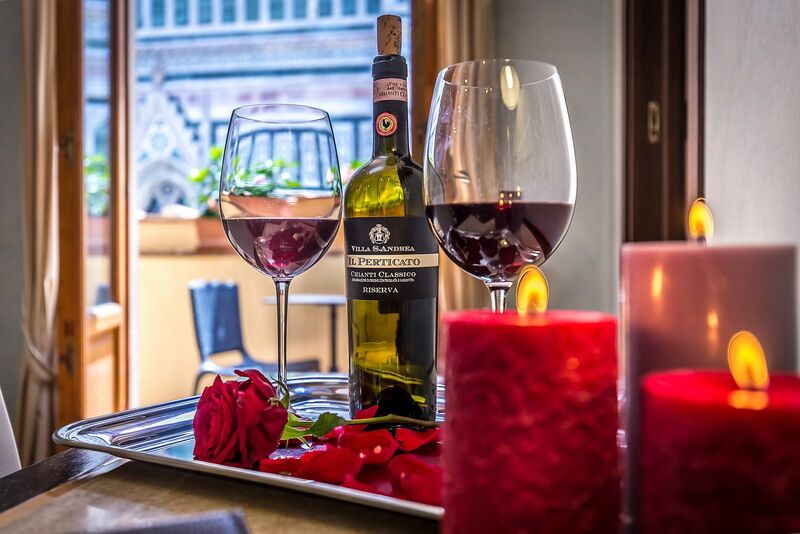 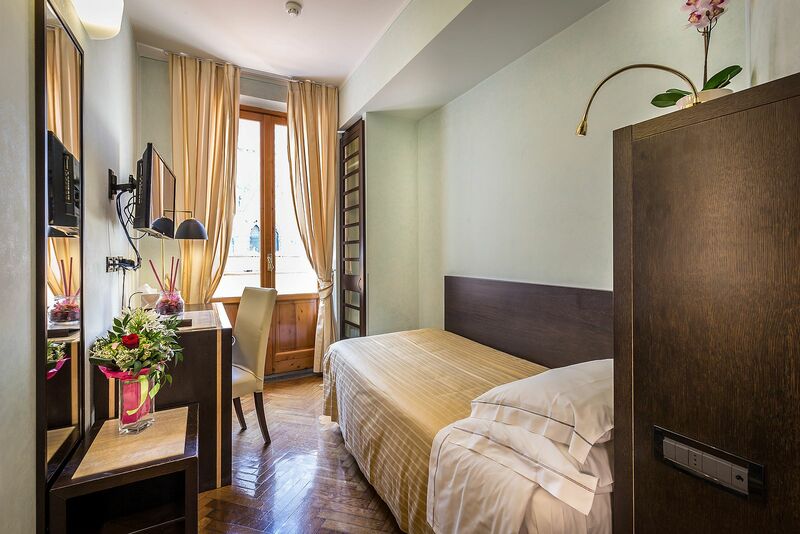 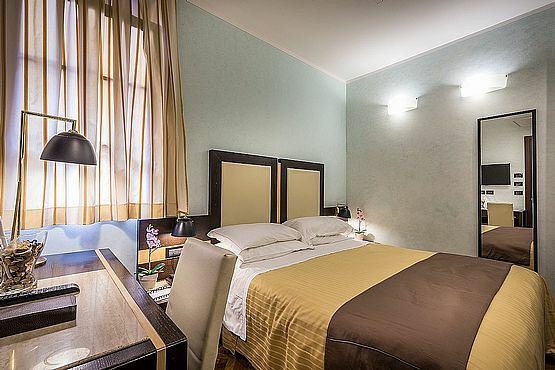 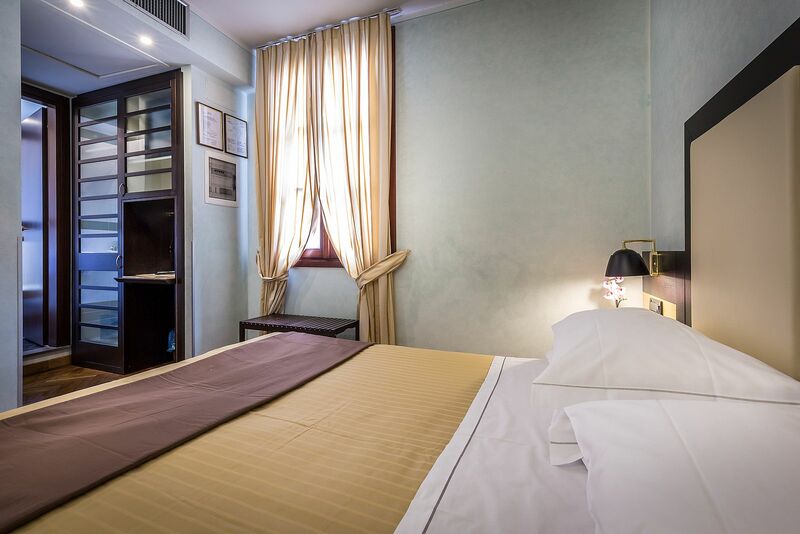 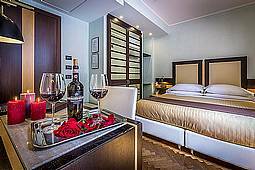 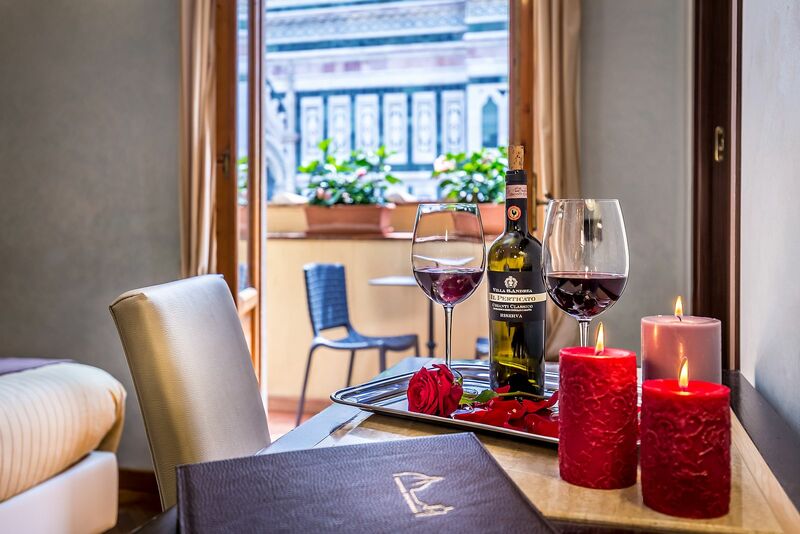 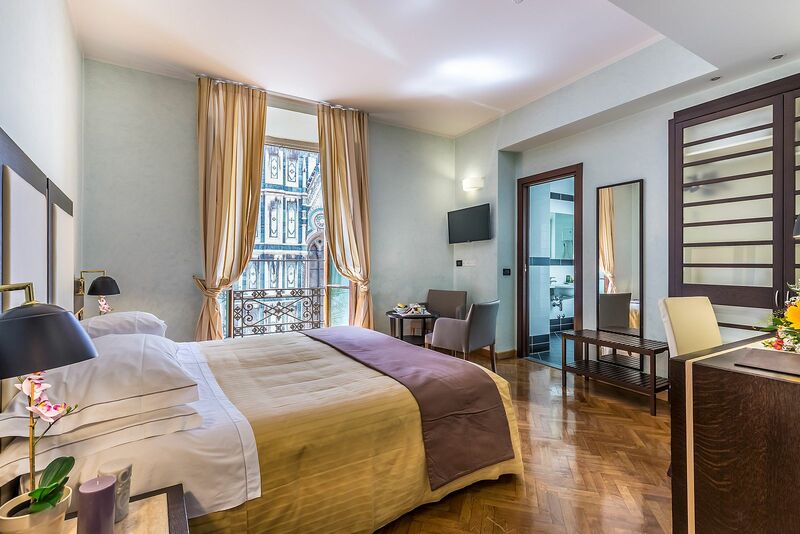 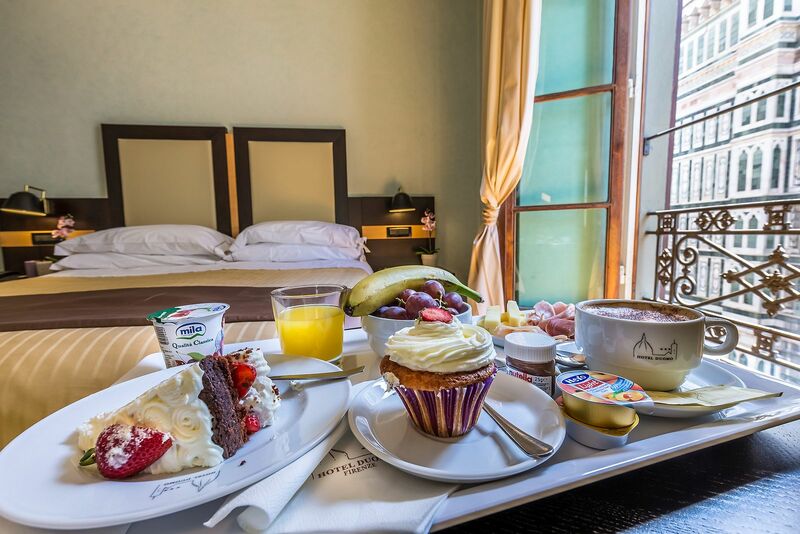 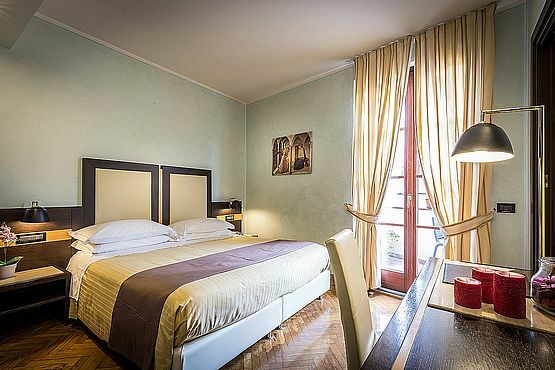 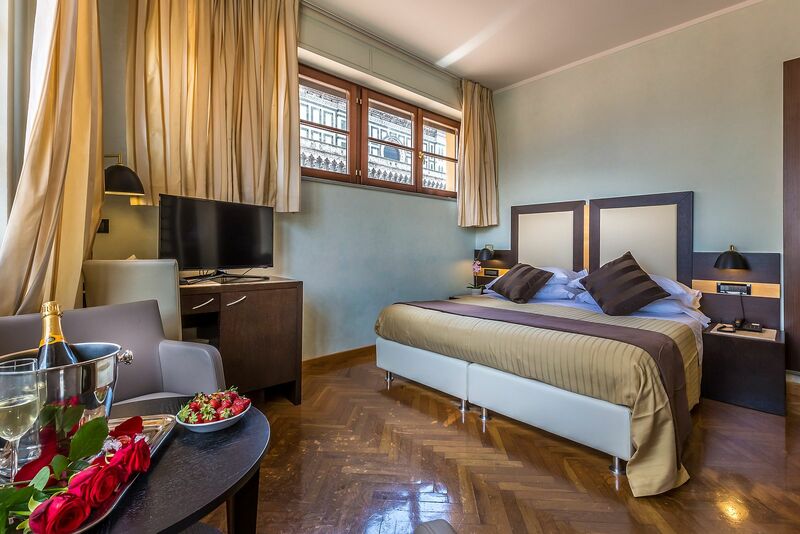 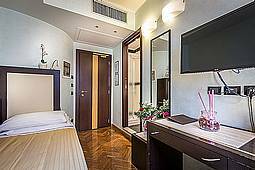 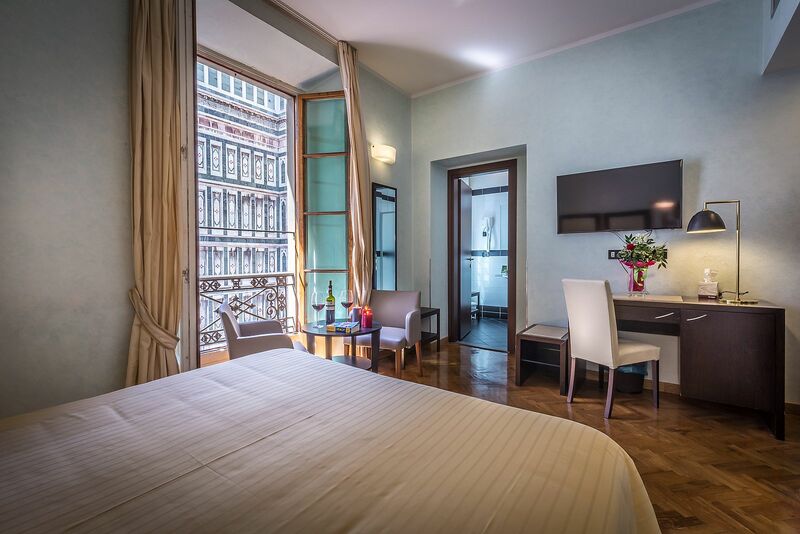 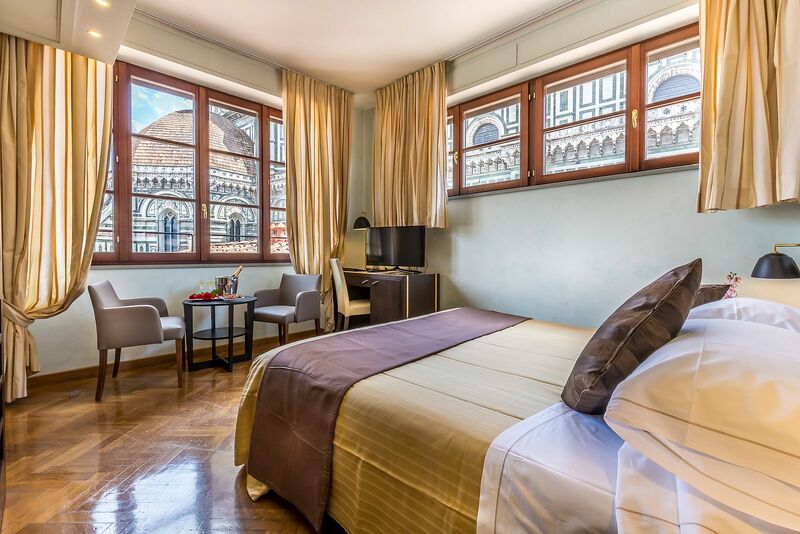 We have quiet and welcoming rooms ready to make special every moment spent during your Florentine stay. 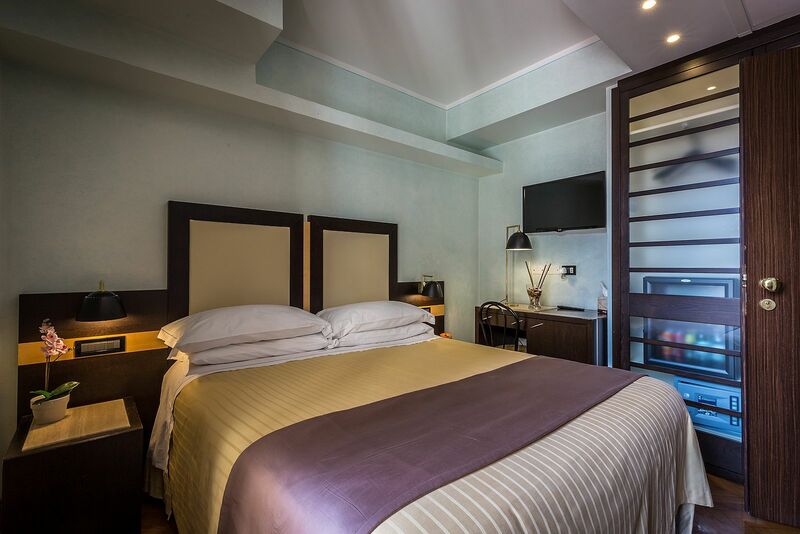 Warm, soft lighting, modern design furniture to make you feel at home away from home. 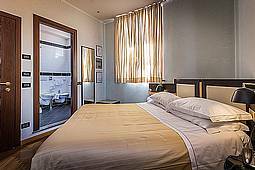 Available as Single or Double room. 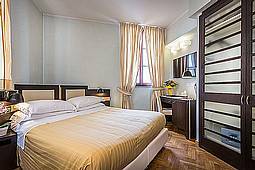 Our Basic rooms are all non-smoking, are furnished in a modern, elegant and simple style, with oak wooden floor and all comforts. 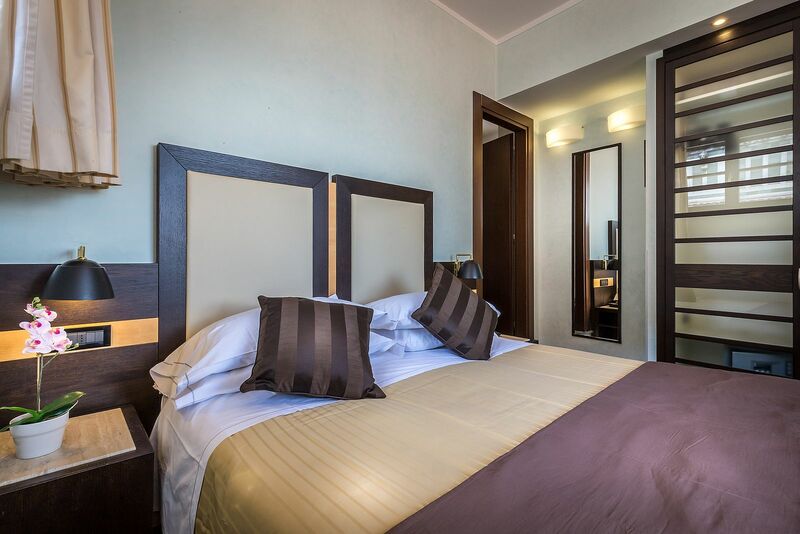 For double rooms children under 8 years old stay for free when staying in the existing beds (no additional beds). 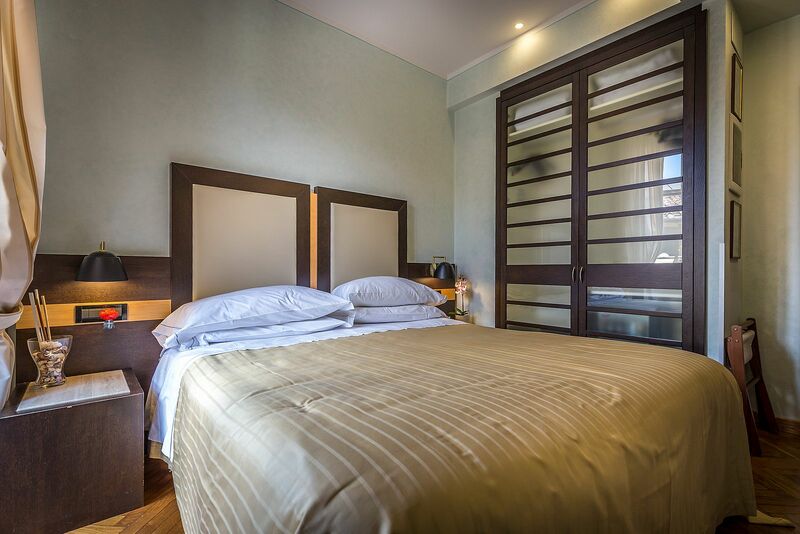 Children under 3 years old stay for free when staying in a baby crib/cot (crib/cot has to be requested to the reception in advance and is subject to availability). Maximum 1 baby crib/cot allowed per room. 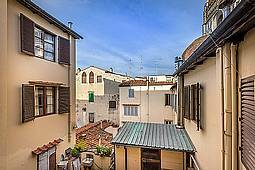 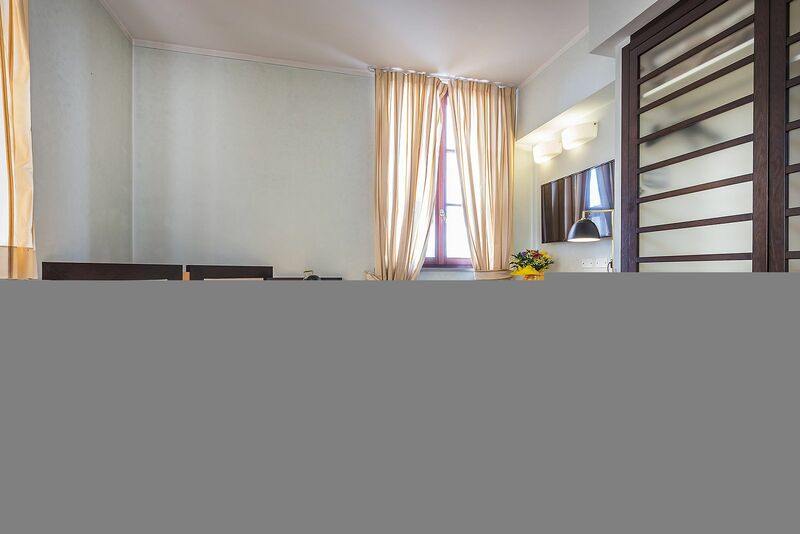 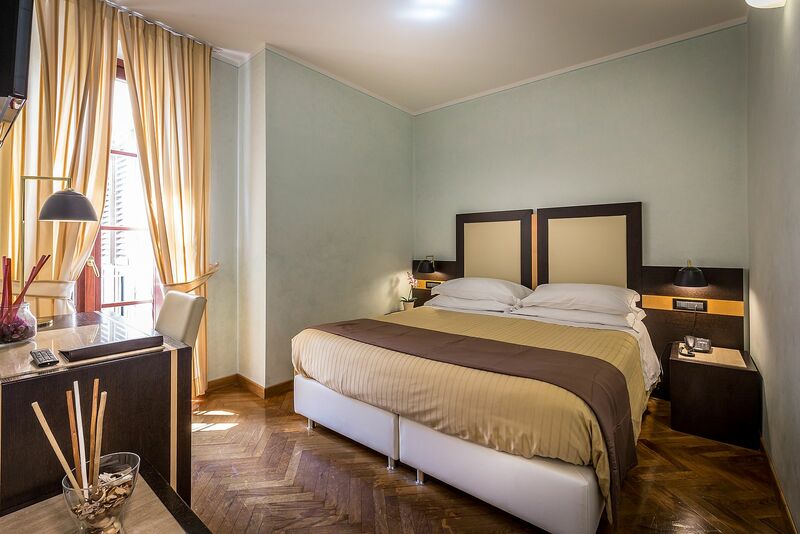 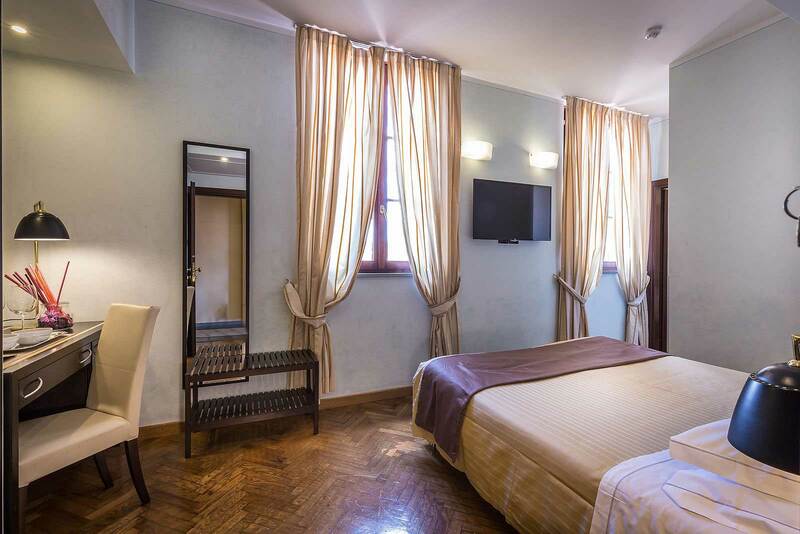 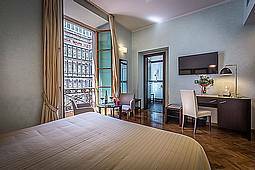 Single room of approximately 9.50 sqm, with private bathroom and shower cabin, Air conditioning, Free Wi-FI and partial view or view over Florence’s hills. 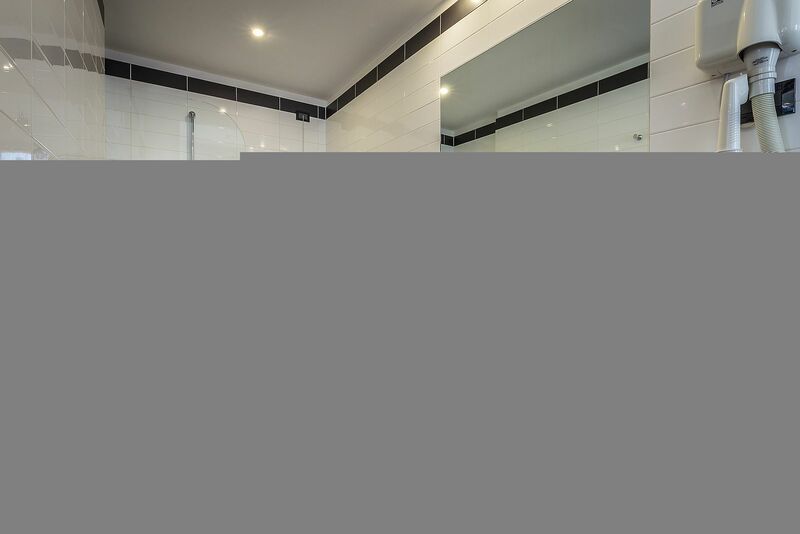 Double room of approximately 11-12 sqm with a double bed (twin bed configuration on request), Private bathroom with shower cabin, Air conditioning and free WI-FI. 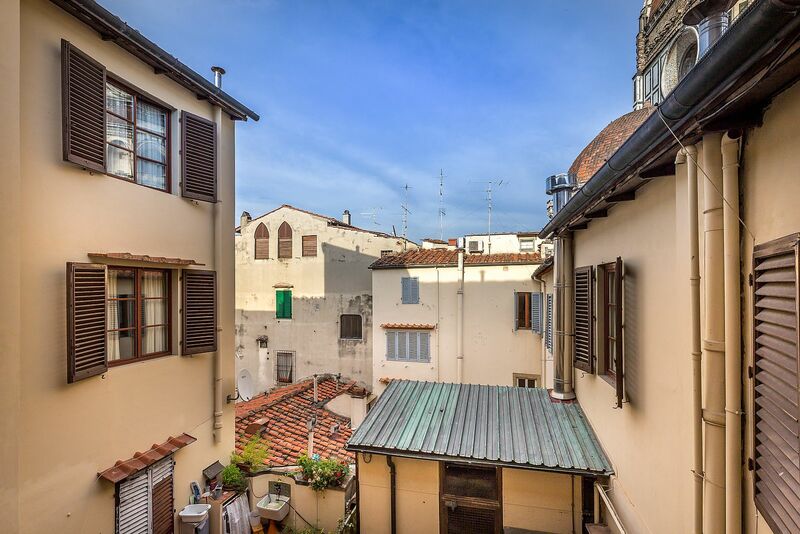 View on internal courtyard. 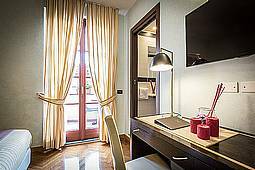 Bright and comfortable, will make you enjoy authentic relax moments, fully tasting every bit of your stay from your private balcony. 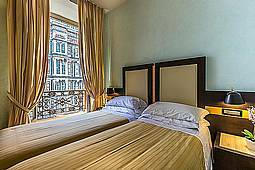 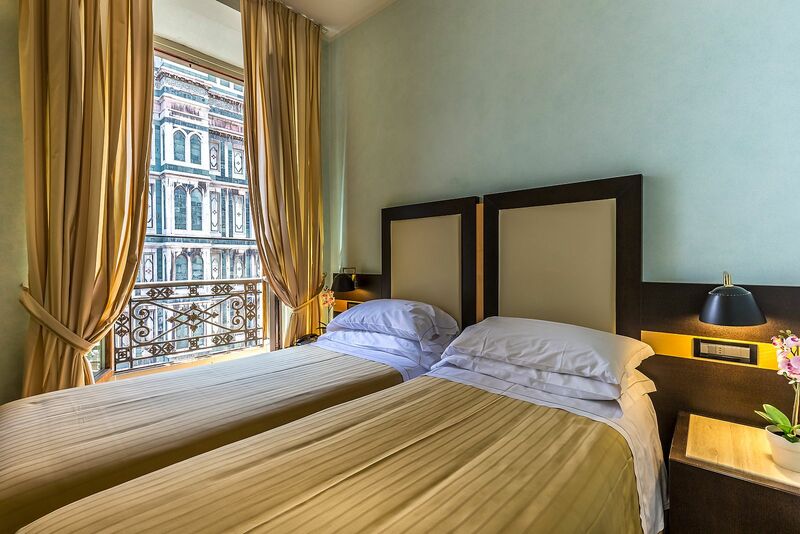 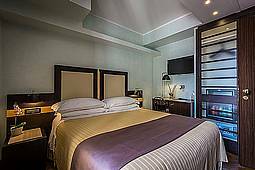 Deluxe rooms with Balcony and Partial View over the Cathedral and on the rooftops of the city are all non-smoking. Rooms of approximately 15 sqm with double bed ( twin bed configuration on request), oak wooden floor, private bathroom with bidet and shower box, air conditioning / heating and free WI-FI. 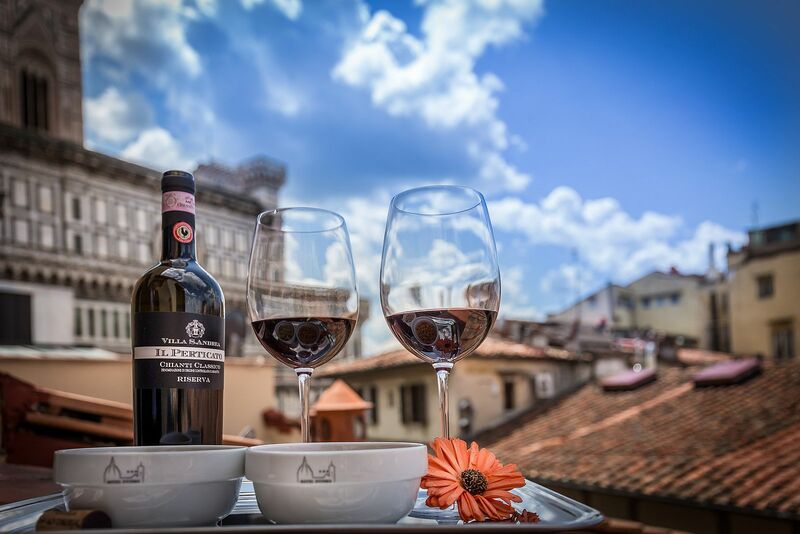 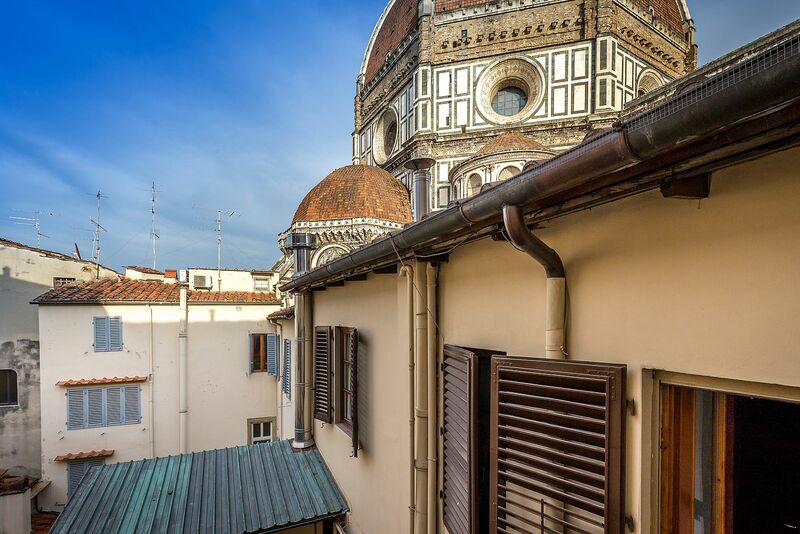 From the balcony you can enjoy a beautiful partial view on the Cathedral and on the rooftops of Florence. 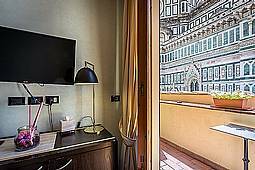 It is allowed to smoke outside in the balcony making sure that smoke does not enter the room. 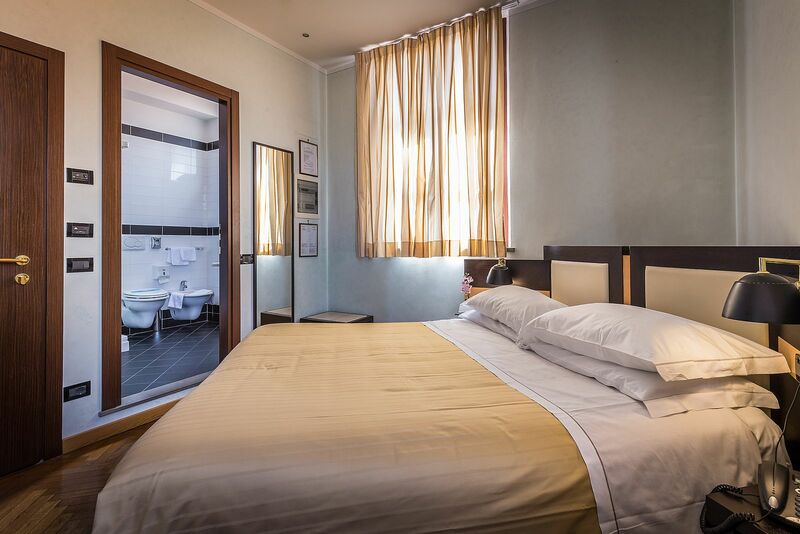 Available as double room, twin beds on request or double room for single use. 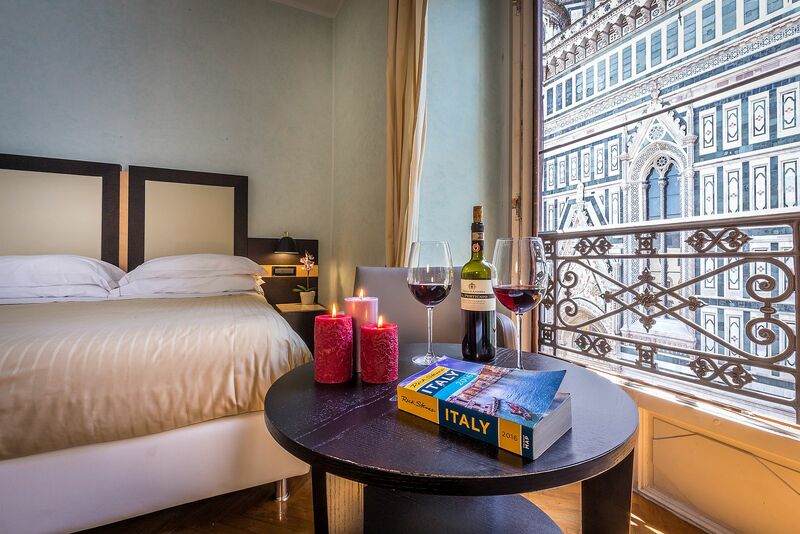 Perfect for escaping from daily stress in front of an enchanting genuine view that will remain in your heart. Our Deluxe rooms are all non-smoking, with a unique and unimaginable view over the Cathedral and Brunelleschi’s Dome. 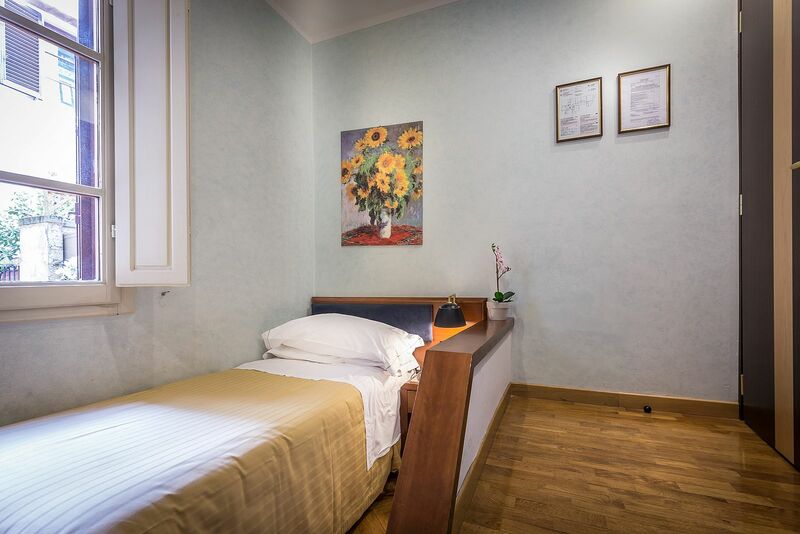 Rooms of approximately 15 sqm with double bed ( twin bed configuration on request), oak wooden floor, private bathroom with bidet and shower box, air conditioning / heating and free WI-FI. 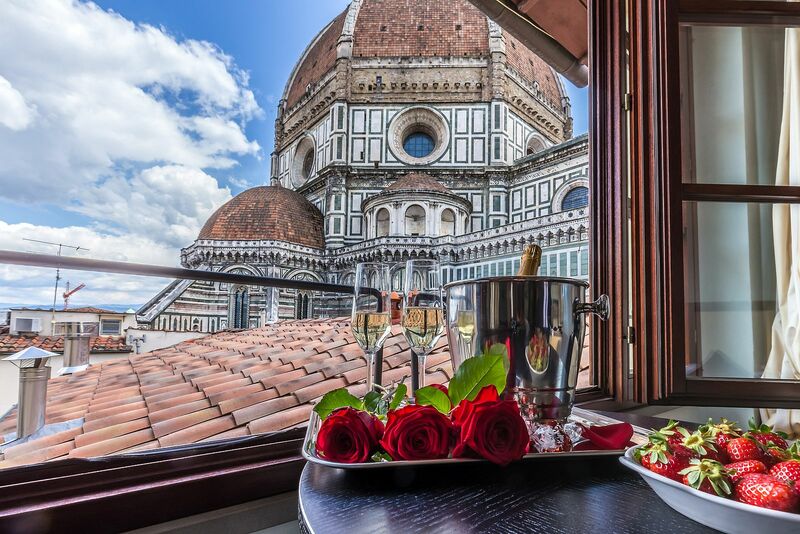 From the windows you can taste a unforgettable and unique view. 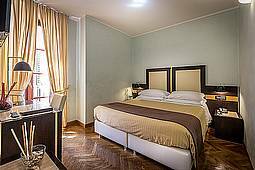 For the double and triple rooms children under 8 years old stay for free when staying in the existing beds (no additional beds). 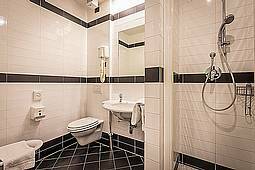 Double room of approximately 12-15 sqm, twin beds on request. Private bathroom with shower box, some with bath tub, air conditioning and free WI-FI. 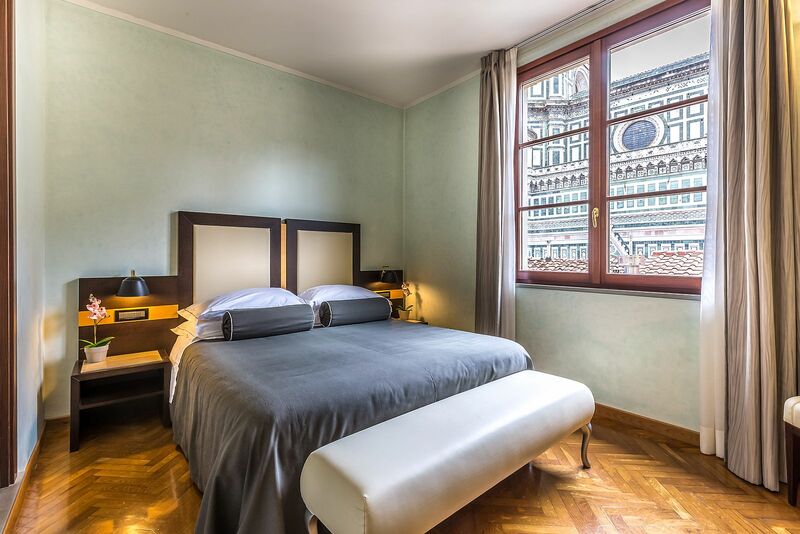 All rooms have a fantastic view over the Cathedral. Triple room of approximately 16-19 sqm with a double bed and a single bed, 3 single beds on request. 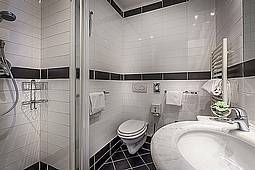 Private bathroom with shower box, some with bath tub, air conditioning and free WI-FI. 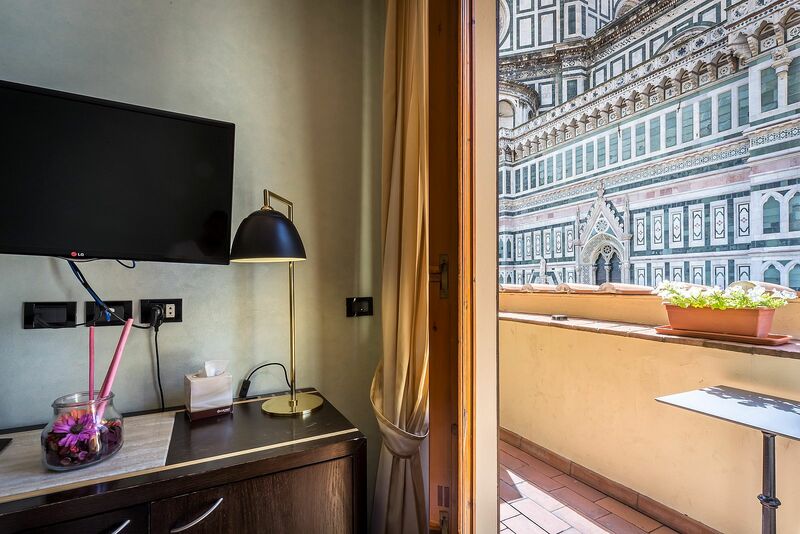 All rooms have Exclusive View over the Cathedral. 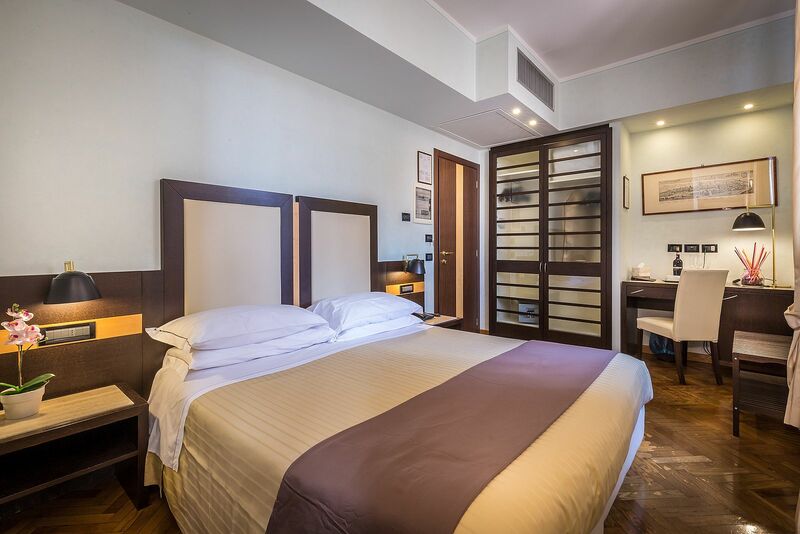 Superior Double room of 15 sqm approximately, non-smoking, double bed ( twin beds on request ). 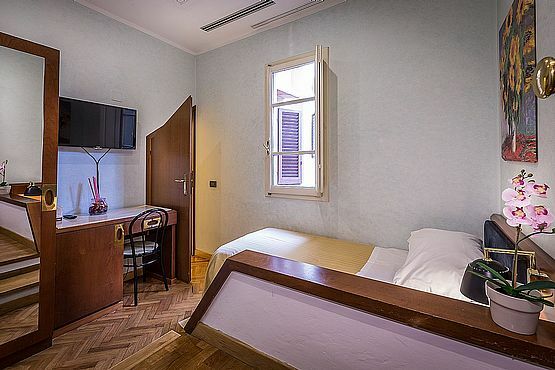 Oak wooden floor, private bathroom with shower box, air conditioning, Smart Satellite TV, free WI-FI. 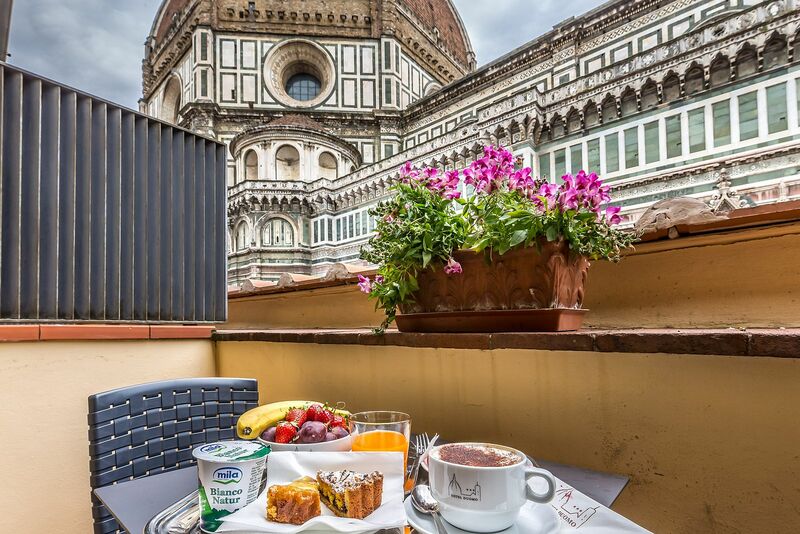 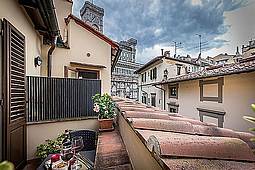 Private balcony facing the Santa Maria del Fiore Cathedral and an astonishing view over the Dome. For the double and triple rooms children under 8 years old stay for free when staying in the existing beds ( no additional beds ). Children under 3 years old stay for free when staying in a baby crib/cot (crib/cot has to be requested to the reception in advance and is subject to availability). 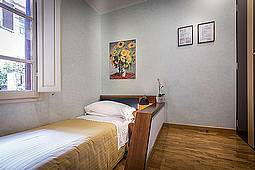 Maximum 1 baby crib/cot allowed per room. 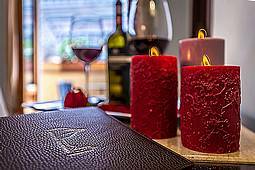 Perfect for spending unforgettable moments with the loved one. 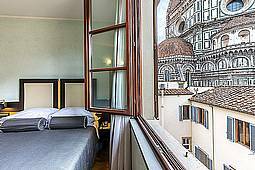 The Superior Double room #40 has two windows and an astonishing view over the Dome, is approximately 17 sqm, non-smoking, double bed ( twin bed configuration on request ). 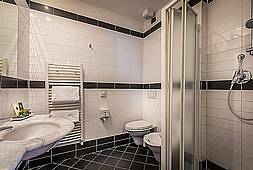 Oak wooden floor, private bathroom with shower cabin, air conditioning, Smart Satellite TV and free WI-FI. 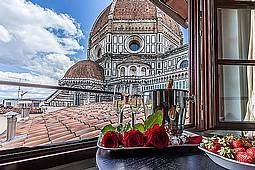 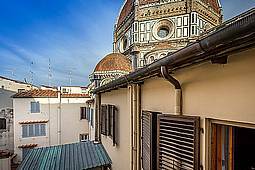 From the room you can enjoy an amazing view on the Santa Maria del Fiore Cathedral and the ,sararabatti.sr@gmail.com. 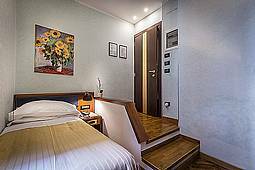 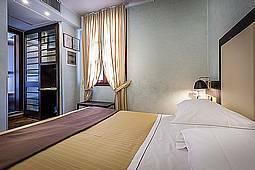 Single room of 9,5 sqm approximately, non-smoking, Oak wooden floor, private bathroom with shower box, air conditioning, Smart Satellite TV, free WI-FI. 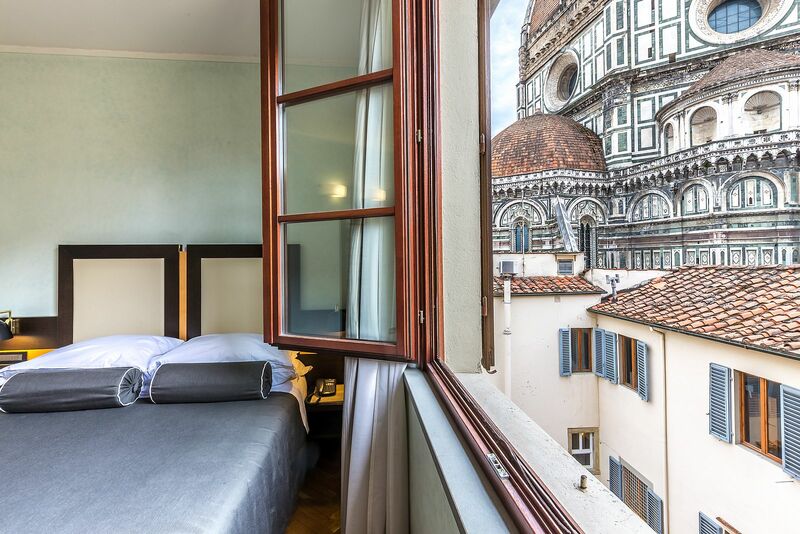 Private balcony facing the Santa Maria del Fiore Cathedral and an astonishing view over the Dome. 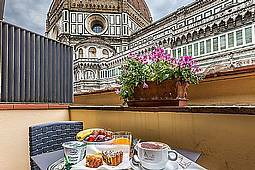 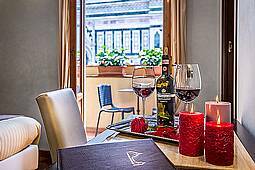 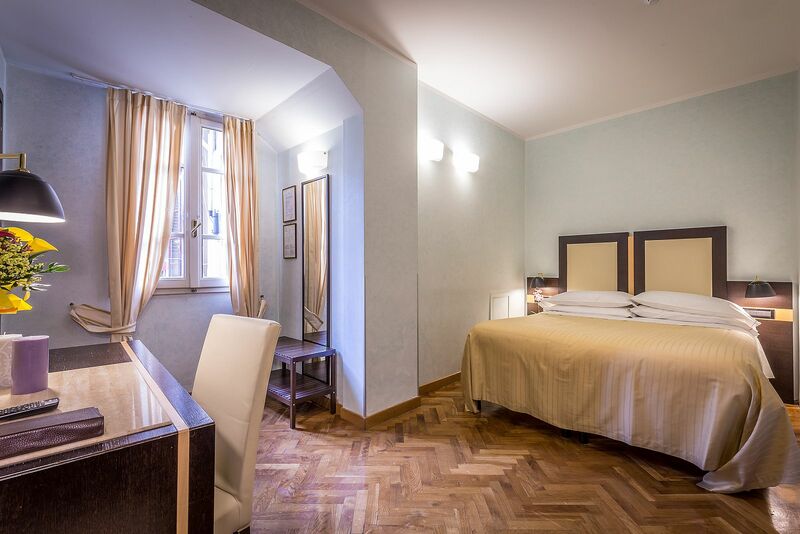 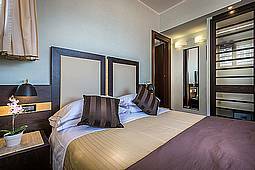 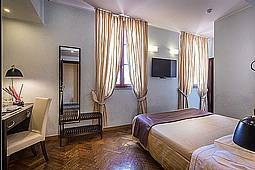 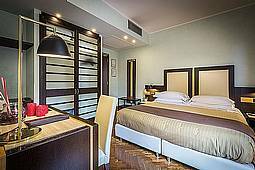 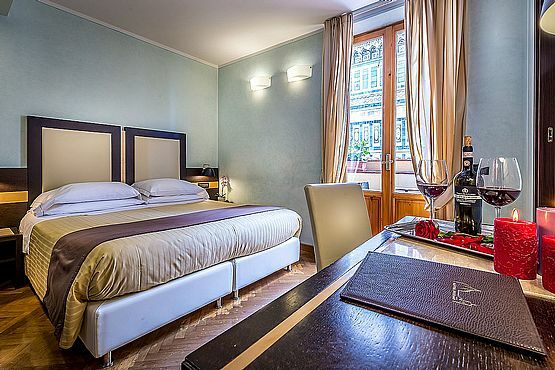 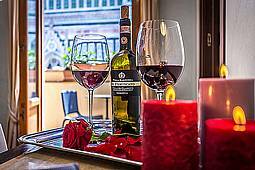 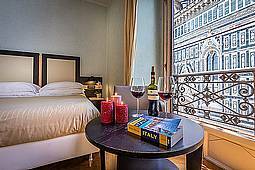 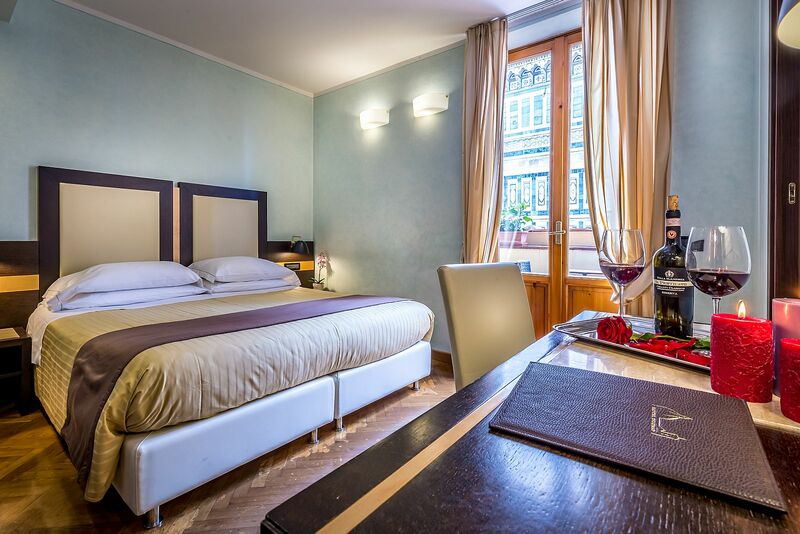 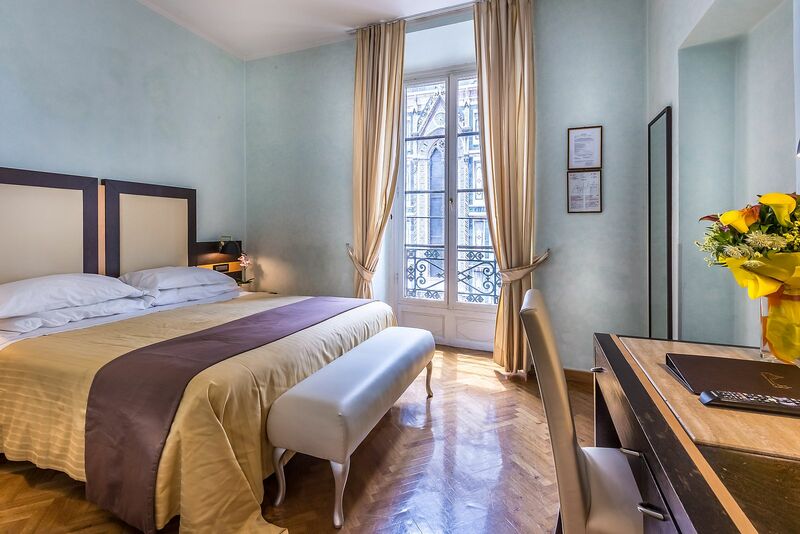 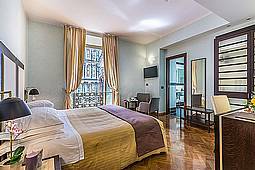 Perfect for those who want to have a wonderful stay in Florence at a favorable price. 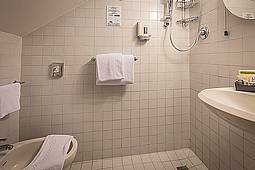 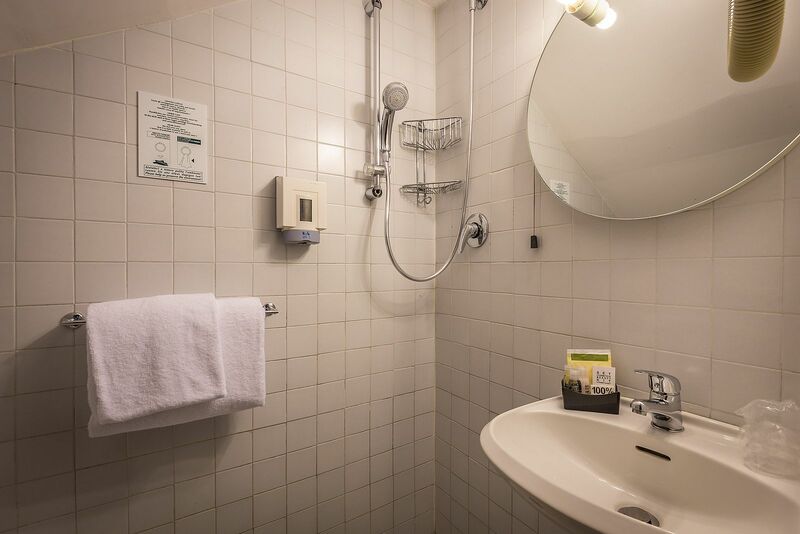 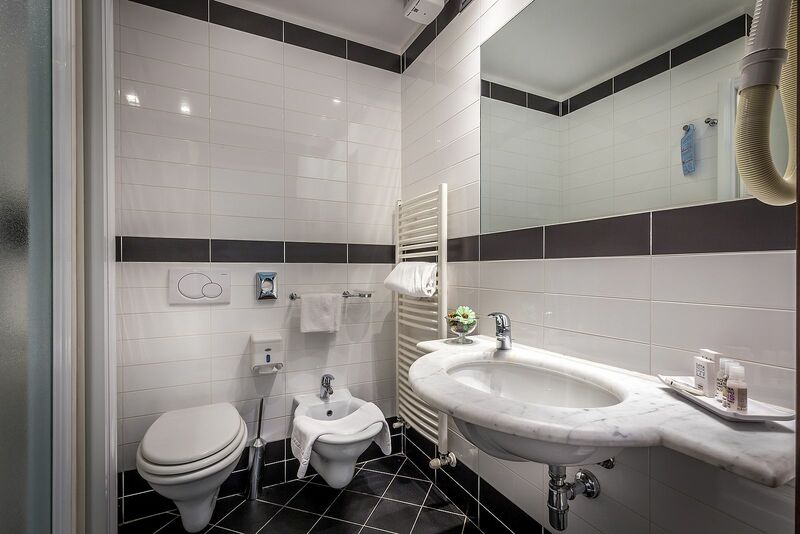 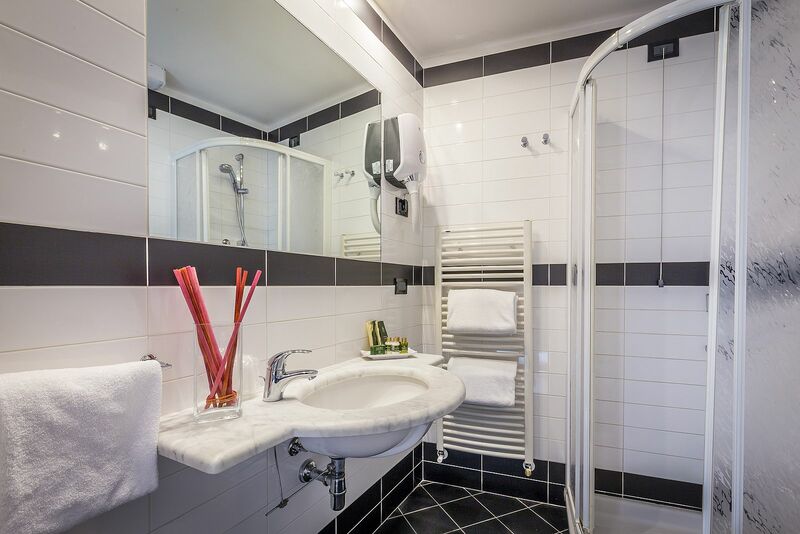 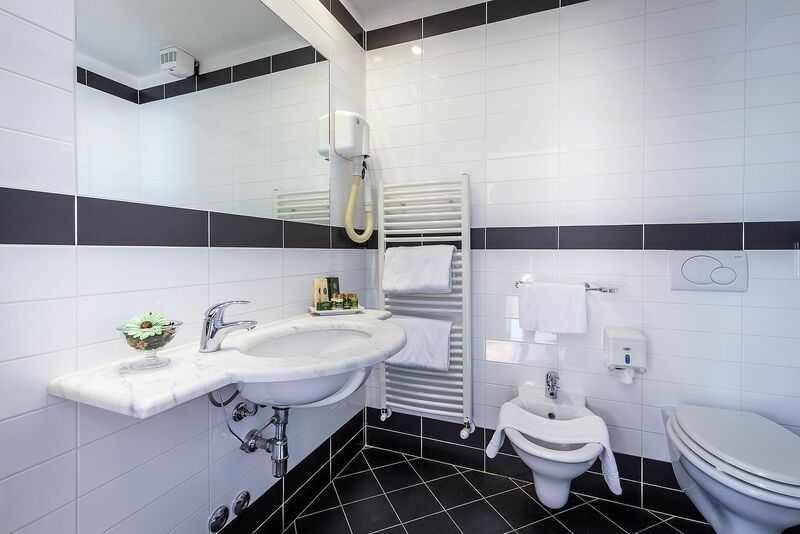 Small single room of approximately 8.5 sqm, non-smoking, with private bathroom and shower without shower-tray, Oak wooden floor with 2 small steps, air conditioning / heating, TV, free WI-FI, minibar, daily cleaning, view on internal courtyard.